Between June 2015 and March 2017, we conducted seabird counts in the divided Goseong County, Gangwon Province. Pacific Loon, with the 1,200 recorded in May 2016 equivalent to >1% and the 3,000 recorded in December 2016 equivalent to 3% of their population. Red-necked Grebe, with the 600 recorded in January 2016 >1% of their Flyway population of 500; and the 450 recorded in December 2016 close to 1% of their population. Great Crested Grebe, with the 920 recorded in December 2015 almost 3% of their Flyway population; and the count of 612 in December 2015 >1% of their Flyway population. 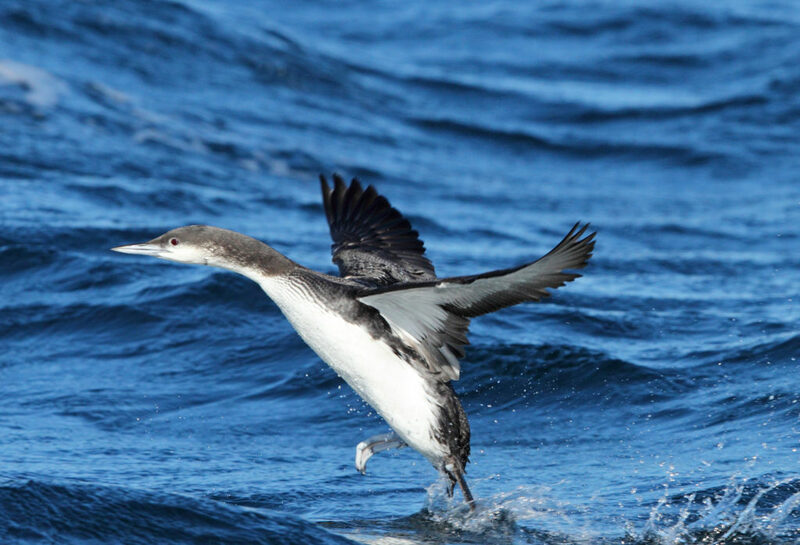 Pelagic Cormorant, with the 2,400 in December 2015 representing >8% and the 3,900 in January 2017 representing 15% of their estimated population. However, it should be noted that the estimate for this species in Wetlands International (2017) is extraordinarily low, as at the end of the last century the population of the species within Russian marine areas alone was closer to 150,000 and possibly as high as 175,000 individuals (Kondratyev et al. 2000). If the total East Asian population estimate of this species were revised upward to e.g. 200,000 from the current 25,000 as listed by Wetlands International, then the Goseong coast would nonetheless still regularly support > 2% of this population. Common Gull, with the 13,700 recorded in December 2015 and the 14,000 recorded in December 2016 equivalent to 13-14% of the population estimate of subspecies camtschatschensis. Common Tern, with the 1,800 recorded in September 2015 equivalent to 4% and the 2,400 recorded in September 2016 equivalent to 5% of their estimated Flyway population. At least one additional species, Ancient Murrelet, has been recorded in internationally important concentrations of >20,000 in Goseong County.